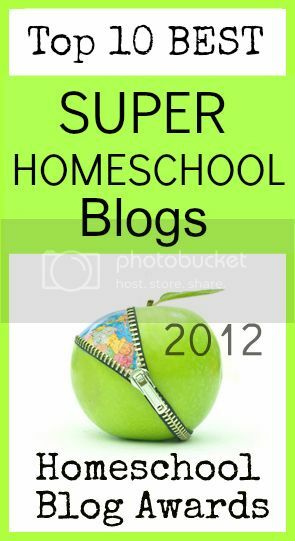 I am as pleased as pie to introduce you to Homeschool Legacy! 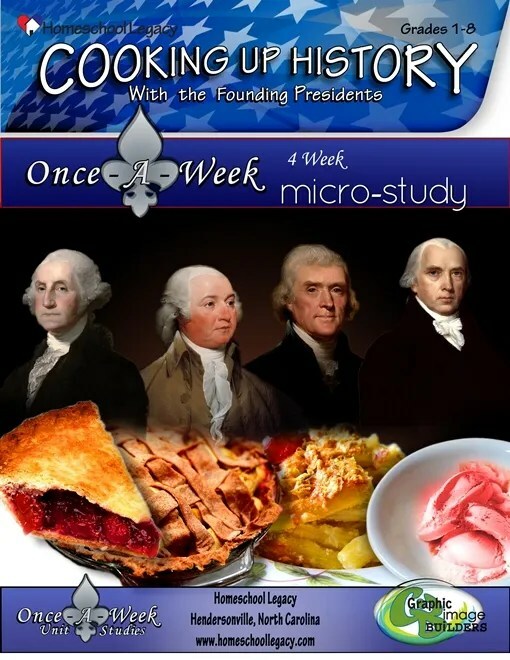 They produce Unit Studies and I was able to use one with my students this month, a Once-a-Week Micro-Study: Cooking up History with the Founding Presidents. I came to lean on Unit Studies when we moved way back when the boys were 3 and 7. I didn’t know about the community resources in town, didn’t have a friend, and really wanted to continue learning at home with my 7 year old. I was new to teaching. I knew that I wanted to teach through books, crafts, and activities. I even knew a few questions that I had myself about the topic, but I didn’t know how to pull it all together; enter – Pre-Made Unit Studies! So why, 12 years later – am I still thrilled with them? 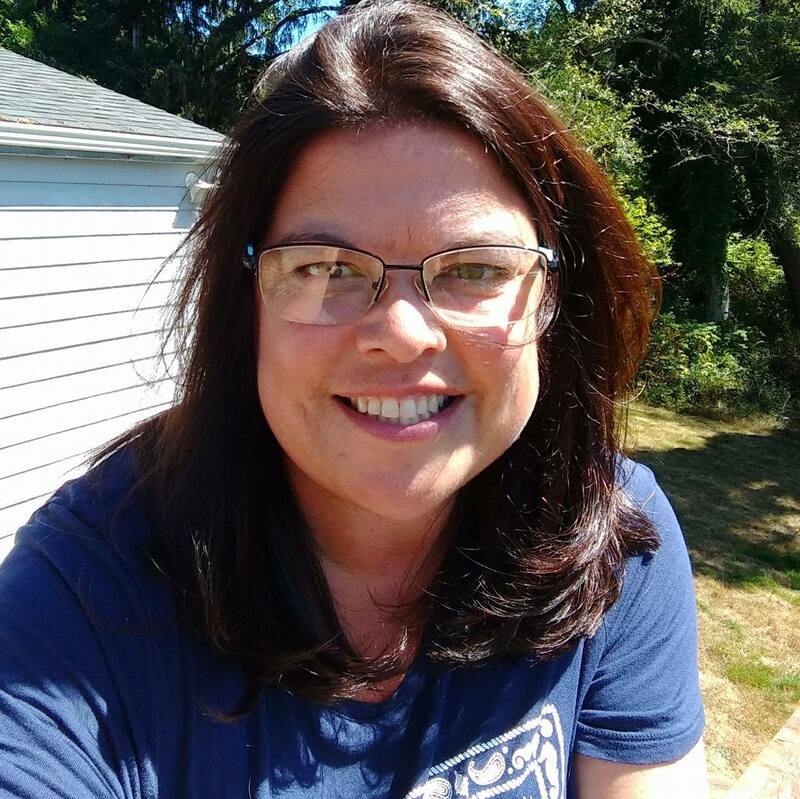 Wouldn’t a veteran educator be able to pull together their own unit study? I have one answer to that. Time. Sigh. I don’t have it. I am studying US Geography, History and Culture this year with a group of 3rd – 7th grade students. We are charting out the states, reading history living stories, and creating songs, but I haven’t had the time to be creative or look for the detailed activities to spread across to our Math, Science, and Literature. I believe a topic is good if it can be spread across all learning lines – Unit Study Style. How does this fit into real life action? We have been reading about George Washington, John Adams and Abigail Quincy Adams the past few weeks. In those readings we talked about the financial and health benefits of molasses. I’m also using the Week Micro-Study: Cooking up History with the Founding Presidents to gain ideas. So take John Adams. Along with the study, we were challenged to write a correctly formatted letter. Both our required reading and the Unit Study made quite a point of the intelligence and forward thinking of Abigail Adams. I have some bright young ladies in my class, and they enjoyed hearing that! We spent time in our Morning Journals writing a letter following the format provided in a link in the Unit Study. We were able to talk about the importance of letter writing in that time period. We also talked about the differences of communication with e-mail, messaging, and texts. We talked about how informal communication has become. We write Thank You notes as a class and are challenged to format them correctly in the future! We read through the information on John Adams and it is a simple once a week style format, just enough information to spark curiosity, or as in our case, have another perspective of the reading we had finished. I was drawn to this particular study because of the opportunity to use our School Kitchen with my students. We chose the Apple Dowdy. One thing I liked is that the recipe tied in the Molasses back into our conversation. The recipe calls for 1/2 cup. We watched a YouTube video created this year of a family watching it being created. 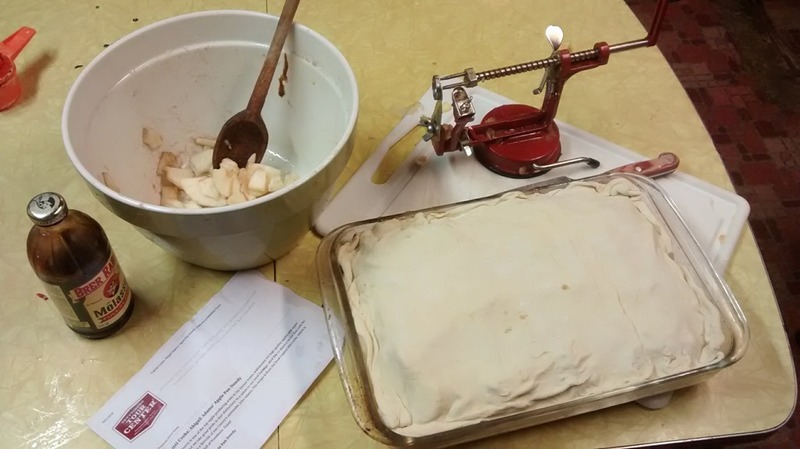 I brought in enough apples for the students to each use my Apple Peeler Corer Slicer to get the work done quickly and with some fun. 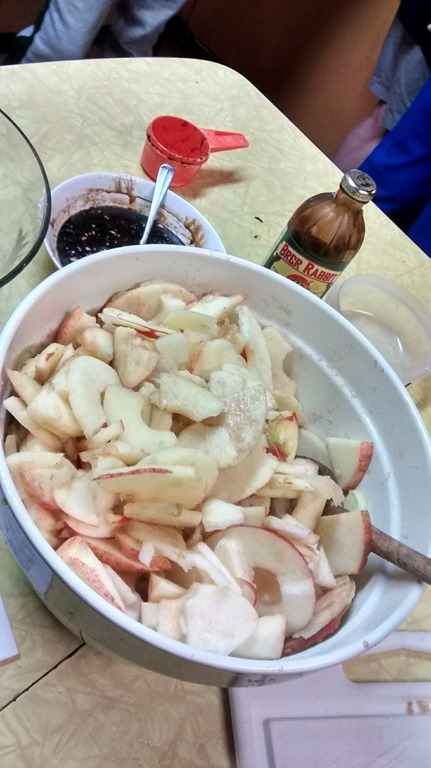 A student measured out the dry flavored ingredients, another the pastry ingredients, another the butter and another the molasses. It was a team effort. We had limited time to be able to prep the dowdy and have the 1 hour and 10 minutes cook time – along with the eating time in the afternoon, so I purchased a pastry dough for the crust. In the Week Micro-Study – she gives about 4 pages of information regarding the President with links to the activities. 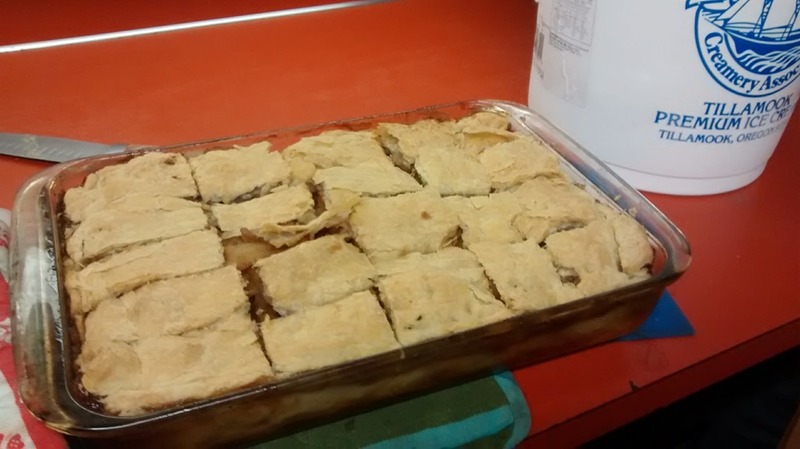 We followed a link to print out our letter format, and a link to print out this recipe. We were also able to talk about following directions and getting distracted. And then for added understanding I forgot to pour on the molasses and butter so we had to take the top off, and then I forgot to stab the crust with my knife after 10 minutes, so it doesn’t have that look. Although unplanned, I did get to ask our class, did I pay attention and follow directions? No. Ha. Following directions is one of our main themes this month. We will continue to walk through this study as we encounter the next two presidents for additional fun and insight. I am teaching at a school where I can use all I have learned and enjoyed from being an eclectic Charlotte Mason teacher. This study suited well for our Secular Charlotte Mason goals. The study stayed on Historical points. 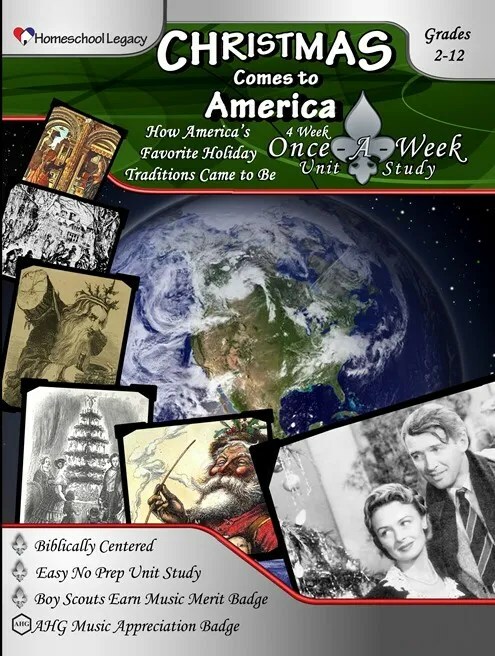 I’ll be looking into their Holiday Unit Studies like the Once-a-Week Unit Study – Christmas Comes to America or Thanksgiving with the Pilgrims. 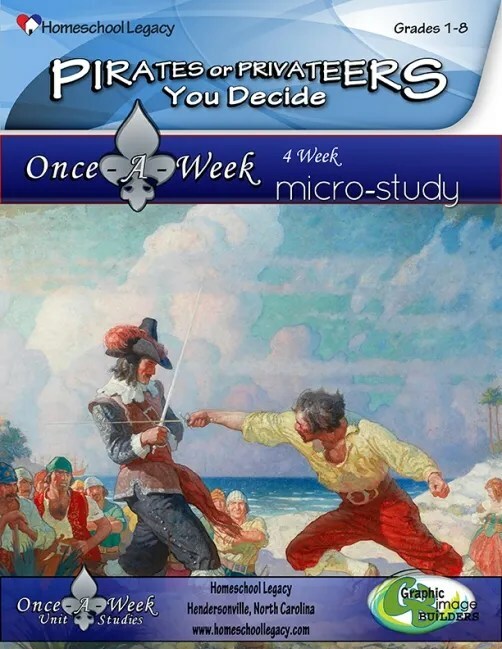 For a swing of adventure we may look at the Pirate Unit Study! These studies suit our classroom well since I have such a wide range of ages. You may note on the top right hand side of the images that they are for K-8 or K-12. The joy of the studies is to use the ideas and tools to your students level – introduction, review, gaining understanding, or mastery – at any age. This entry was posted in Reviews, Schoolhouse Crew and tagged #hsreviews #unitstudies #historyunitstudies. Bookmark the permalink.